Summary: CECL and life of loan may lead bankers to consider shortening loan duration. But, that may not always be the best strategy. A new study by UCLA finds a lack of sleep and drinking too much have the same negative influence on the human brain. 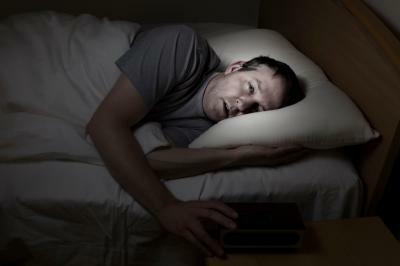 Sleep deprivation makes it more difficult for the brain to work, leading to lapses in judgement, memory and perception. Now you know, so get enough sleep and everything in moderation. When it comes to loan loss reserves in banking, many bankers we know say they sometimes wish for more moderation from regulators and accountants. It doesn't look like that is going to happen with the new current expected credit loss (CECL), but there are some interesting things to think about here. To add some insight, today we tackle the subject of loan duration and how it affects loan loss reserves under the new CECL guidance. Credit exposure models incorporate historical data, current conditions and forward looking macroeconomic forecasts (including interest rates) to measure expected credit losses. Historically, delinquency rates have been shown to increase following rate tightening from a low rate environment. This is because borrowers' revenues generally do not keep pace with increased debt service. In a rising rate yield curve environment, fixing loan rates stabilizes debt service. That reduces the stress on credit associated with deteriorating debt service coverage. Credit models that incorporate interest rate sensitivity will typically calculate lower expected losses for fixed vs. floating rate loans. So, what can community bankers do with this situation? Interest rate hedges are widely used by banks to safely offer longer term fixed rate loans without increasing asset durations. As interest rates increase, these hedges allow banks to benefit from rising interest income without the deterioration in debt service that typically accompanies rising rates (assuming all other credit factors remain unchanged). Consider a $1mm, 10Y term variable rate loan at Prime flat (currently 4.25%). Without a hedge, a +100bp increase in Prime will increase the borrower's monthly interest payments by about 24% on average, reducing debt service coverage. With a hedge in place, interest income received on the hedged loan increases by about 24%, however the borrower's payments remain the same (fixed rate). This stabilizes debt service for the life of the loan. It is also an important way to meet both your bank's needs related to funding and rate risk and that of your customer. In addition to fixing the rate, extending maturity on amortizing loans reduces credit exposure associated with repayment risk at maturity (i.e. 'ballooning' risk). In a credit stressed environment, short term loans with large balloons are prone to repayment default and external refinancing at that point in time might not be available. That is because the stressed credit has declined below underwriting guidelines. Consider a bank that did nothing but 5Y balloons. In any given year, 20% of the portfolio would be subject to 'ballooning' risk. However, if the bank were doing 10Y balloons, that risk would decline. Better yet, if the bank were doing fully amortizing loans, there would be no 'ballooning' risk. A net result of this 'ballooning' risk is potentially higher reserves. There is some concern about CECL's impact on reserves for longer term loans, but nothing is that simple. Some banks are considering shortening loan terms (foregoing more certain long term revenue) to avoid incremental reserve expenses. One economically beneficial alternative is to offset the reserve expense with non-interest income generated via a hedged loan. Let's revisit the $1mm, 10Y term loan at Prime flat discussed prior. Assume the CECL impact is $2,500 in additional reserves and the present value of 1bp on a hedge for this loan is $800. The bank can convert about 3bps (0.03%) of value from the hedge into $2,500 of immediately recognizable non-interest income to offset the reserve expense. As seen here, this is an important - and not wholly obvious -consideration as you prepare for CECL and continue underwriting longer term loans. To summarize, banks can utilize interest rate hedges to benefit from rising variable rates while fixing the loan rates for borrowers. Interest rate hedges also provide a vehicle for banks to generate non-interest income. Depending on specific details of each loan, the additional income can be used to offset some or all of reserve calculations for the loan. Although perhaps not all together evident, there are ways to manage your bank's loan loss reserves under CECL, without shortening the term of your loans. For more information on how to do this and go through more examples, please contact us. Yields landed unchanged as investors observed Fed Chair nominee Jerome Powell under review by the Senate Banking Committee. PayPal said it will allow customers to do robo-investing through its website by connecting with another company that provides automated savings and investment advice. CoinDesk reports more than $30.95mm of cryptocurrency was stolen from startup company Tether. Tether offers dollar backed digital tokens supported by the dollar, euro and yen. Payments company Square said it has begun allowing some customers to buy and sell bitcoins on its Cash App. Square said customers asked to use the alternative currency, so they took the action. In an effort to expand our relationships, PCBB is pleased to offer community banks a money market deposit account rate of 1.35%, subject to availability. Contact operations@pcbb.com.